In today’s generation social media plays an important role in promoting your business and no matter on what business you have, you need a Facebook fan page. They are essential for your business to keeping in touch with your customers and also to get new ones. The best thing about it is that it is extremely easy to set up a Facebook fan page and start getting fans and traffic to your website. Here is why your business needs a Facebook fan page. Facebook is the world largest social media network and according to Facebook’s website, it has 750 millions of active users per day. Around half of Facebook’s users check their Facebook account every day and each user has on average 130 friends. So, if you share out a message to each of your fans, it appears on your friend's news feed, where your friend’s 130 friends will also see it. It is not only that, nearly every demographic on earth is represented. All walks of life and all ages use Facebook to hang out, socialize and also uses to find goods and services too and till date, there is no sign of slowing down. When you launch a new website, there is a lot of things that you have to do like, creating, coding, designing, domains, etc. And when you finish creating your website it becomes like you are putting a message into a bottle and setting it adrift in the vast ocean of internet world to your potential readers or customers. Do everybody get that, or have you. But it is not so with Facebook. Creating a Facebook fan page means plugging into a massive network that is already there for you. With Facebook, you do not have to design your website or even download a template. Everything is all set up and ready to go for you. 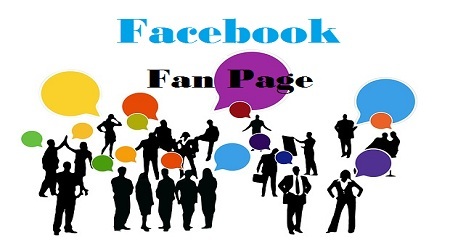 You can create your fan page in about 5 minutes and it is now viewable by anyone on earth. It is also extremely easy to upload videos and other types of media. The Facebook platform is designed so that even if you have no computer skills, you can publish multimedia. The whole point of Facebook or any other social media site is communication. Not only do you get to talk to your fans, they get to talk to you as well. It offers to way communication and you are always connected with each other. Actually, it is one of the best marketing tools today because you can get instant feedback about your business and about your products and services. You can listen in on your fans’ conversations and find out exactly what they think about your business. Facebook also plays a major role in bringing traffic to your site. It comes with a build in SEO benefits and is one of the most popular websites on earth. This means that all the content you put on your fan page will come up in the search engine results. Make sure that you optimize your keywords in your Facebook fan page and never forget to have some links going back to your website or blog. When you do any digital marketing campaign, whether it may be like email marketing, advertising in news channels or advertising in newspapers or you are hiring some SEO specialist, everything costs you. But when you use Facebook it costs you absolutely nothing and it is a readymade website that is already connected to the biggest social media network and with almost everyone on earth. Advertising and connecting with your customer base with your Facebook fan page will never be this cheap or easy before. So, go ahead and create a Facebook fan page if you do not have.